If you are looking to improve your technical skills, advance your career and stand out in your industry market, then AFA University is for you. AFA MEMBERS WANT TO EDUCATE ARCHITECTS! The results of a membership survey show a strong desire by the members of AFA to help educate architects and specifiers regarding fences and gate systems. Most encouraging is the high percentage of respondents who indicated they would participate in the process of doing so. The upcoming regionals in Pittsburgh and New Orleans offer affordable options to quality education sessions, networking with table top exhibitors and fellow attendees, and unique group excursions. You can create your ideal schedule by selecting one of the flexible registration packages. Best of all, the regional events make these AFA resources accessible to the members. Learn more about the education sessions and events offered or get registered by visiting the Northeast Regional Conference page or the South Central Regional Conference page. 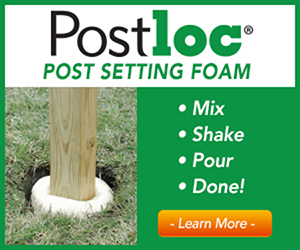 Your digital edition of the latest issue of Fencepost is available for your reading pleasure. 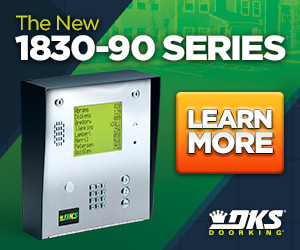 In this issue, discover best practices for farm and ranch enclosures, get up close and personal with vehicle detector loops, and learn the answer to the burning question: "Is 60 the New 40?" Instead of using pay-per-click marketing tactics, savvy business owners are finding far more success implementing a strategy known as Retargeting. 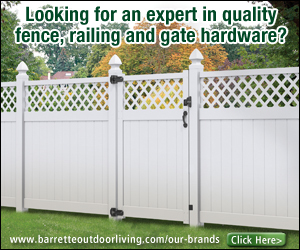 Join the American Fence Association, YFP and Fortress Fence Products when they come together to provide community, support career development and foster the next generations of leaders in our profession and industry. If you have been looking for an opportunity to further your industry education and find new ways that emerging professionals are taking their businesses and functional areas to the next level then you won’t want to miss this YFP Round Table in Dallas on August 24th, 2018. AFA and 811 have partnered to offer industry specific 811 education for our members. Please sign up here to join this 30-minute webinar on July 24th, at 11am (EDT), and learn more about your 811 obligations. • AFA member 811 survey results. • How much utility damages cost and potential losses. • How our industry compares. • The safe digging process. AFA MEMBER SURVEY – HOW MUCH DO YOU KNOW ABOUT 811? Please take this short survey to help us provide safety education and training regarding 811. Association officials said that the new figures come amid questions about how a possible trade war and long-term infrastructure funding shortfalls will impact the construction sector. Get in front of serious homeowners with HomeAdvisor. New enrollments are eligible for $100 in free leads, now through June 30, 2018. 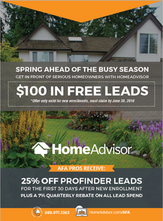 Follow the link below for details about this exclusive AFA member offer, and visit www.HomeAdvisor.com/AFA to learn more about what HomeAdvisor can do for you. 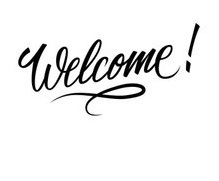 Long-time AFA member, Past President, and industry leader Phillip Doyle, CFP, CAGOI, CAGSD is a member of the coalition committee, which is made up of representatives of AFA, DASMA, NOMMA and the IDA. In addition to his work with the coalition committee, Phillip also serves on the Standards Technical Panel (STP) committee for UL325. On April 17th, 2018, the AFA Sales Training School (STS) team met in Tulsa, OK to create valuable updates and revisions for its courses. The team looks forward to welcoming AFA members at "STS v2" next March in Indianapolis. LiftMaster has promoted Ruben Caro to Director of Latin American Sales. In his new role, Caro will be responsible for developing and implementing LiftMaster’s strategic direction for Latin America, including the Caribbean. 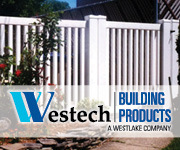 Wayside Fence Company, a national fence manufacturer and wholesaler, announced on June 19 that it has become Master Halco’s Certified PostMaster Dealer for Long Island, the 5 Boroughs of New York City, Staten Island, Westchester County, and five Counties in New Jersey.